The archaeological site of Pella. To the right of the asphalt road is the agora of the ancient city. Also visible are the old museum at the crossroads, the workshops and storerooms of the site. Grave goods from among the artifacts found at the prehistoric burial ground. Exciting new finds at the archaeological site of Pella have opened a new chapter in Macedonian history. Beneath the ruins of the ancient capital of the Macedonian Kingdom is a large prehistoric burial ground that has yielded the first evidence of organized life in Pella during the third millennium BC. It was while they were engaged in conservation, repairs and other work to highlight the site that the excavation team from Aristotle University came across more than 100 Early Bronze Age burials in large jars, accompanied by marble works of art from the Cyclades, local ceramics and metalware. The finds are so recent that experts at the Demokritos Center have not yet completed the analysis of bones that will yield precise dates. However, the initial evidence supplements what is already known about Pella in the Early Bronze Age (2100-2000 BC), when it was the most important city in Bottiaea, long before it was made capital of the Macedonian realm. What became known as “the greatest of Macedonian cities” was apparently built on top of the prehistoric graveyard when Archelaus moved his capital there from Aiges, excavation director Professor Ioannis Akamatis said. It was on this site that one of the most important urban centers developed. It had what was at the time an innovative, Manhattan-style, rectangular town plan, with an extensive network of water and sewerage pipes, which helped make Macedonia’s largest city one of the most important political and cultural centers of the Hellenistic Era (4th to 1st centuries BC). The precise boundaries of the prehistoric cemetery cannot be determined because a large part of it lies beneath the urban center of the ancient city, but the graves that have been located so far beneath the city roads provide enough information to form a picture of prehistoric Pella. In accordance with burial customs in Pella’s prehistoric community, the dead were placed in jars, simple trenches or in stone structures. The bodies placed in jars were buried with their limbs folded and the head either close to the mouth or the bottom of the jar. Many of the jars are between 150 and 160 centimeters tall. One of them will be exhibited in a new museum in Pella as it was found, with the remains of the body and the grave goods. The position of the body depended on gender: Men were placed facing the right, women to the left. The arms were crossed over the chest and the hands drawn up to the face below the jaw. Some graves contained infants and children up to the age of 3, while several belong to individuals aged 14-16. The bodies in the jars represent about 30 percent of the burials. “The Macedonian plain was fertile in antiquity too. They stored goods (agricultural products, wood and metal) in storage jars, and that practice also influenced burial customs,” said Akamatis. The dead were accompanied by objects, many of which had long been in everyday use before they ended up in the grave. Most tombs contained at least one vessel. Some of the dead were buried with valuable jewelry such as silver rings, gold earrings, bracelets and necklaces, bronze clasps, needles and daggers. 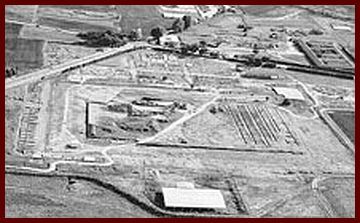 “The prosperity of Pella’s prehistoric community is apparent from the metal goods and jewelry,” commented Akamatis. 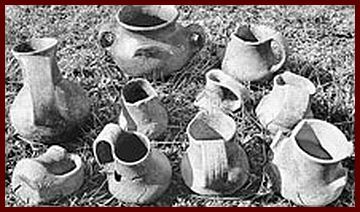 All the clay finds were vessels made by hand using techniques employed in the Early Bronze Age in Macedonia (3100-2200 BC). Expertly worked marble flasks bear traces of red paint (associated with perceptions of death and life after death), indicating that they were used in burial ceremonies. Akamatis said that the marble vessel of Pella, which is very rare for Central Macedonia, is related to a Late Neolithic Age (4500-3100 BC) example from Alepotrypa Dirou in the Mani, Peloponnese, while a series of small Cycladic flasks date from the Early Cycladic I period. The settlement to which the burial ground belongs must have been fairly close by, Akamatis believes. The Bronze Age settlement may have been maintained into historical times, since a few distinctive Early Iron Age objects have been discovered at Pella. Posted by grhomeboy in Archaeology Greece, Architecture Greece, Arts Museums. Construction work on the new Archaeological Museum of Hania in Crete will start this year. Designed by architect Theofanis Bobotis, the new building is a dynamic expression of the contemporary era, with discreet references to the ancient past. Housed for the past 46 years in a Franciscan monastery on Halidon Street in Hania, the vast archaeological collection there represents part of Cretan history. Eventually the works will be transferred to the new Archaeological Museum of Hania, to be built in the historic Halepa quarter, overlooking the sea and not far from the old port. A modern building in tune with the times, the new museum will have a discreet but distinctive exterior. The design is by Theofanis Bobotis, who also designed the recently built Patras Museum. Bobotis and his team are now competing to build the Polykentriko Museum in Vergina. Museums are not the only constructions he has worked on in recent years. His Observatory building on Solonos Street, with its wood and glass facade, is a head turner, and won the FX International Interior Design award for a retail space in 2007. Bobotis is also working on the extension to the Eleftherios Venizelos Airport, a complex 10,000-square-meter project, the new Panionios soccer ground, a freight station in northern Italy and has submitted a study for the Greek railway management company ERGOSE. His team has created a bookbinding factory in Italy and mixed-use tower buildings in Dubai and has been invited by the government of South Korea to draw up a master plan for a city. The team’s work is familiar to Athenians from the KAT and Tavros stations on the electric railway line. 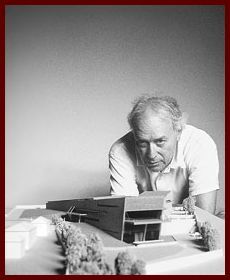 The Bobotis team won the competition to build the Hania Museum three years ago. Now, as the study is in its final stages, the ephorate has decided that more space is needed in order to display the large number of exhibits. The architects made use of vertical space to create a 14-square-meter loft, which the Central Archaeological Council approved at its last meeting. “When designing museums, you have to keep an eye on the future, since new finds may come to light and you may have to change the ways things are displayed. With that in mind, the museum was designed to allow for added space or different uses of space,” says the architect. Now the architects are waiting for the study phase to end so that the competition for the construction work can be announced. Construction could start in 2008 and be finished within two years. The museum is to cover 6,500 square meters, which includes 1,800 square meters for exhibition halls, 140 square meters for the gallery and a 140-seat amphitheater. “We were asked to design the museum according to a specific plan determined by the Culture Ministry, which stipulated the purposes of the spaces we had to incorporate,” said Bobotis. What matters most, with both the Hania museum and the Patras museum, is that the initial goal has been achieved: making museums that are accessible to the public. 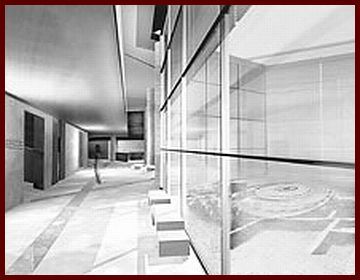 “The austere geometry of the buildings will be softened by the earthy look of the ceramic material used in the interior,” explained Bobotis. The atrium, also a reference to traditional Greek buildings, will allow natural light into the museum. The administrative offices, storerooms and workshops will go in the space between the two sections, along with a cafe and sales point which will operate independently. Posted by grhomeboy in Ballet Dance Opera, Stage & Theater. “‘Thymisou ekeina ta chronia” – “Remember those years” – returns to the Athens Acropol Theater. Audiences are flocking to the Acropol Theater for a production featuring works by Theofrastos Sakellaridis. Four times a week taxis and private cars drop off their passengers on the Ippocratous sidewalk: well-groomed ladies and gentlemen somewhere in the over-50s age group. Clad in their felt hats and pearls, this almost-exiled-from-Athenian-nightlife world swiftly takes its place at the Acropol Theater this season, for a tribute to Theofrastos Sakellaridis (1883-1950), the so-called patriarch of Greek operetta. Not unlike a high-school reunion, from Wednesdays to Sundays the most homogeneous public to be seen at an Athenian foyer has been passionately supporting the Greek National Opera’s most popular production this year. Performances of “Thymisou ekeina ta chronia” (Remember Those Years) run to April 20. Following a break last year, the operetta is back in the National Opera’s repertory. And what a comeback it is: “Thymisou ekeina ta chronia” is a highly satisfying medley undertaken by musicologist Lambros Liavas, who put together the show following elaborate research on both a historic and music level. Developed from scratch, the production is based on a dramatized narration-guided tour undertaken by the composer himself (interpreted at the Acropol by Michalis Mitrousis), who is accompanied by two of his muses, namely Marika Kotopouli and Afroditi Laoutari. On stage, the story is told backward, with Sakellaridis appearing on New Year’s Eve in 1950, just prior to his death, before going all the way back to the heart of the Athenian Belle Epoque. At the Acropol Theater, the operetta’s dynamic comeback is based on new terms. The requirements here were straightforward: What was needed was a new point of view, far from the kind of approach that treats operetta productions as if they belong in museums. Hence the involvement of Liavas and choreographer Apostolia Papadamaki, the latter invited to participate even though she had no prior experience in this particular artistic genre. “I had never been to an operetta production before,” confesses Papadamaki. When asked, however, she agreed without too much hesitation. To begin with, her decision to join in had a lot to do with the presence of Liavas, with whom she worked on the production’s direction. Another reason behind her decision is that she tends to perform well when entering unknown territory. At the Acropol, the new wind is blowing discreetly with modern, minimalist tendencies in the settings, lighting and costumes, while the orchestration flirts with jazz and swing. Papadamaki sought to strike a balance between the old and the new, as opposed to pursuing a subversive take. And she cannot hide her satisfaction given the slight drop in the audience’s average age. Will the first emos turn up next year? 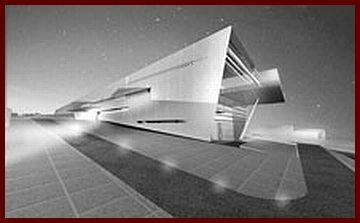 Greek National Opera, Acropol Theater, National Opera New Stage, 9-11 Ippocratous Street, Athens, tel 210 3643700. Posted by grhomeboy in Stage & Theater. Innovative spirits on stage > Akyllas Karazissis and Michail Marmarinos. A drama performance with a difference opened recently at the National Theater’s New Theater, as part of the Common View art events organized by the company. “Stalin, a Conversation on Greek Theater” is based on an idea by Akyllas Karazissis and Michail Marmarinos. Both well-known for establishing their own controversial code in theater, the two artists have now joined forces to explore the identity and progress of contemporary Greek theater. In their capacity as playwrights, directors and actors, they meander their way through various fields of action, adopting different means of expression, while using uncompromising methods. Marmarinos in particular has earned a reputation as a “heretic” with performances like “Romanticism”, “Schliemann Worksite”, “Romeo and Juliet” and his great success “National Hymn”. Such productions, which he has been staging since 1997, require much research and preparation. At the National Theater’s New Theater, the sets are designed by Kenny MacLellan and Marmarinos and the costumes by Katrin Krumbein. The lights are by Yiannis Drakoularakos. Starring alongside Marmarinos and Karazissis are Giorgos Kritharas and Mary, among others. National Theater’s New Theater, 41 Evmolpidon Street, Gazi, Athens, tel 210 3455020. Posted by grhomeboy in Business & Economy. Greece is doing fairly well in its efforts to meet the European Union targets of progress and development until 2010, known as the “Lisbon criteria,” according to a report submitted yesterday by the Council of Lisbon and Allianz insurance company. The report, “The European Development and the Employment Observatory: Success Indices in the Economy of Knowledge” monitors the progress of the 14 biggest economies toward meeting those targets. It has found Greece ranks seventh among them with 1.23 points, against an average of 1.05. Topping the chart is Finland with 1.69 points, followed by the Republic of Ireland, Denmark and Sweden. On the other side, Italy lies lowest on the chart with just 0.66 points. Italy, along with Austria and France, are the only countries that currently appear unable to meet their Lisbon targets. The analysis of the partial indices of Greece shows that the high scoring the country has earned is due to the positive course of the “economic development” and “productive development” indices, recording scores of 1.38 points and 2.87 points respectively, against an EU-15 average of 0.52 and 1.31 points. Posted by grhomeboy in Business & Economy, Environment. Two leading Greek maritime associations, which control the world’s largest fleet, yesterday strongly opposed a plan to tax ships for emitting pollutants, saying they were the cleanest mode of transport. The Union of Greek Shipowners and the London-based Greek Shipping Cooperation Committee issued the joint warning after holding talks with Greek Merchant Marine Minister Giorgos Voulgarakis in London over the last few days. About 90 percent of world trade by volume moves via the sea, according to estimates. A soon-to-be published United Nations study reproduced in the British press says the annual carbon dioxide emissions from shipping total 1.12 billion tons per year, or 4.5 percent of the world’s total. Posted by grhomeboy in Business & Economy, Shopping. The Greek Competition Commission is planning to investigate increases in prices of basic foodstuffs and other consumer products over the last three years. The independent authority wants to establish whether the price hikes have been the result of the relationships between industrial and commercial companies on the one side and supermarket chains on the other. More than 20 companies have been targeted for the supply of data, coming from the sectors of bakery products, dairy products, paper items, ready meals, wine etc. By the end of the month, the commission will have a full picture on the washing detergent sector.